Have you tried to write an email, or worse, an essay on an iPad touchscreen? Well, soon that may be exactly how you type on a Macbook laptop. 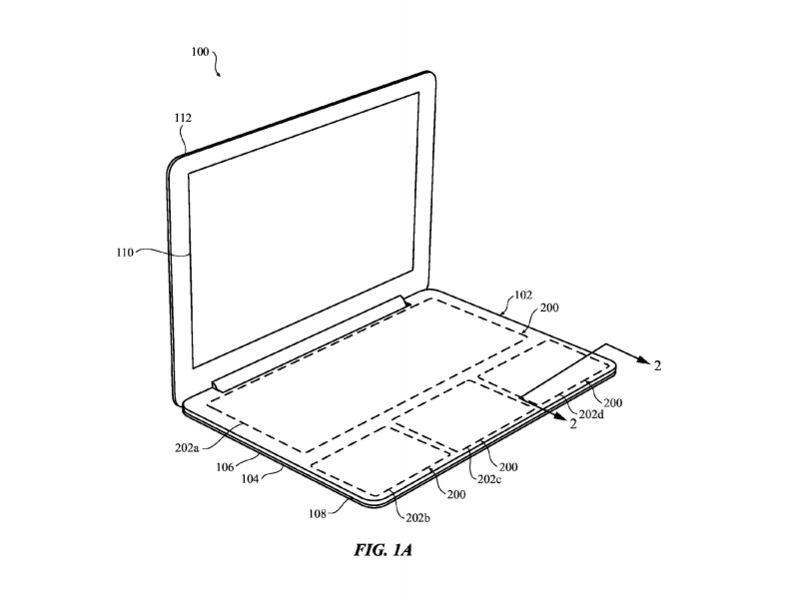 An Apple patent reveals a new type of laptop where the keyboard is replaced by one giant touchpad. The company describes a "force-sensitive input structure for an electronic device". 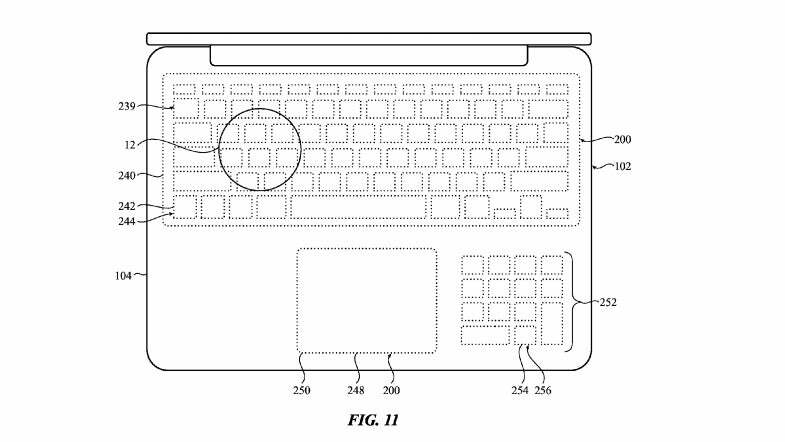 The surface would be customisable and could be programmed to include a trackpad and keyboard. The concept is called "zero travel" throughout the patent, and the company defines it as imperceptible or unrecognisable movement in the input component (that is, the keyboard and touchpad). There would be no keys that move on the surface of the laptop, and because the surface is pressure-sensitive, it could identify your fingers and send haptic feedback as you type. 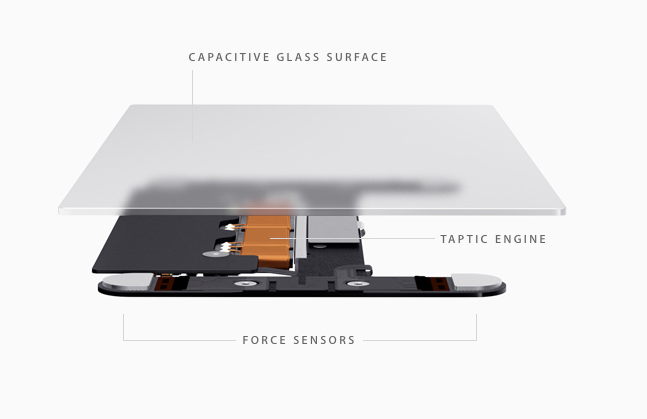 The obvious advantage to this new input method would be the customisability of the surface. For example, a numeric keypad could appear when you open a spreadsheet, then it could disappear when you enter a text document. You could also increase the size of the trackpad when you're editing photos. The surface would adapt to any piece of software. The patent also describes "micro-perforations" (read: tiny holes) in the touchpad that could light up to give the user and outline of where they keys are appearing. The effect would be similar to the backlit keys that Apple formerly included on Macbook laptop. Whether or not this input method is ever included in an Apple product remains to be seen. It's important to note that not all patents are turned into products, and when they do, it usually takes years for them to hit shelves. So, if you're worried about how you're going to draft future emails, you can rest assured knowing that you Macbook keyboard isn't going anyway any time soon.